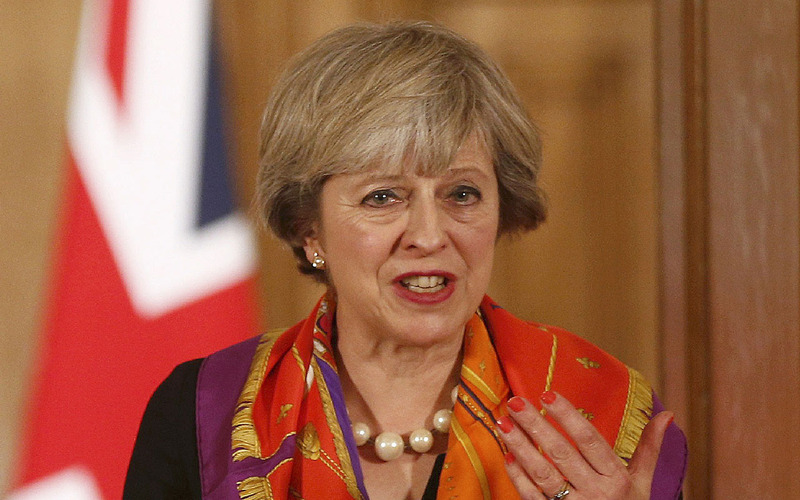 The government of Prime Minister Theresa May will on Monday seek to overturn a ruling that it must obtain parliamentary approval before triggering Brexit, in a highly-charged case in Britain’s highest court. For the first time ever, all 11 Supreme Court judges will convene for the four-day hearing which threatens to upset May’s timetable for leaving the European Union. The High Court ruled last month that the government did not have the executive power alone to invoke Article 50 of the European Union’s Lisbon Treaty, formally starting the exit negotiation process. The decision enraged Brexit supporters and some newspapers who accused judges of thwarting the will of the 52 percent who voted “Leave” in a June 23 referendum. A parliamentary vote on Article 50 could open the door to pro-Europe lawmakers delaying or softening Britain’s withdrawal from the bloc. May’s government will set out its case Monday in an appeal of the High Court decision, with a verdict expected in January. Attorney General Jeremy Wright, the government’s chief legal advisor, will argue that the government has constitutional authority over foreign affairs, including the right to withdraw from treaties, under so-called “royal prerogative powers”. In papers submitted to the Supreme Court ahead of the hearing, Wright said High Court judges were “wrong to relegate, almost to a footnote, the outcome of the referendum”. Claimants in the case, led by investment fund manager Gina Miller, argue that triggering Article 50 would strip British citizens of certain rights established under European law — which they say only parliament has the power to do. However, legal expert Michael Zander, a professor at the London School of Economics and Political Science (LSE), said the government had little chance of winning, describing the original ruling as “unanimous and very strong”. “In my view, the government could be looking at losing 11-0,” he wrote in legal magazine Counsel. If it does lose, the government is expected to introduce a short bill — reportedly comprising just three lines of text — which it will seek to push rapidly through parliament to authorise the triggering of Article 50. Labour leader Jeremy Corbyn said the amendment would ensure that Britain retains access to the European single market and protect workers’ and environmental rights. “When the Article 50 debate comes up, we will put forward an amendment to it, which will be on the issues of market access and protections. We want those to be part of the negotiation,” Corbyn told Sky News. A spokesman for May’s Conservative Party accused Labour of attempting to “frustrate the will of the British people by slowing down the process… and trying to tie the government’s hands” in Brexit negotiations. May faces a further potential complication at this week’s hearing from representatives of Scotland, Wales and Northern Ireland who will argue that Article 50 also needs to be approved by the devolved parliaments. Such a ruling could further derail the prime minister’s timetable and set up a stand-off between the nations.